The senior overcame plenty to earn his scholarship and become one of the top players in the state. MARYSVILLE — Through tears, RaeQuan Battle signed his letter of intent to play basketball at the University of Washington on Wednesday morning. The Marysville-Pilchuck senior had a winding road to the start of the signing period for all student athletes except football. But UW remained a constant from the moment former coach Lorenzo Romar’s staff scouted Battle at a Lummi holiday tournament in 2016. “This means so much to me,” said Battle, a 6-foot-5 shooting guard who is rated a four-star athlete by multiple recruiting sites and is one of the top-5 players in the state, according to ESPN. Battle signed his official documents during a ceremony at the Tulalip Boys & Girls Club underneath the same basketball hoop where he learned the game. Battle’s first dream was to play football, but nearly all of the Native American side of his family plays basketball — his mother and grandfather also played at M-P.
Battle was hooked on hoops since he was the high scorer and MVP of a tournament in Lummi when he was a third grader. Battle’s dedication was tested in 2013 when his cousin, who was raised with Battle and his four brothers, died by suicide in August and in October of 2014 when four students were killed during a school shooting at Marysville-Pilchuck. Battle was related to the shooter. Battle played three games on Marysville-Pilchuck’s freshman team before moving up to varsity. An elite AAU tournament in Georgia is where he garnered national recruiting attention as a sophomore. His junior year cemented him as a top recruit. It began by averaging 21.4 points and 8.0 rebounds per game for the Tomahawks. Marysville-Pilchuck finished the season 19-5, winning its first Northwest District title since 1993. The Tomahawks lost to Mount Spokane 72-67 in the Class 3A regional round. Last summer, Battle played for Seattle Rotary with local stars Jaden McDaniels (Federal Way) and MarJon Beauchamp (Rainier Beach) on the AAU circuit. Battle was also invited by Jamal Crawford to participate in the NBA star’s camp at Beach for the top 30 players in the state during Labor Day weekend. 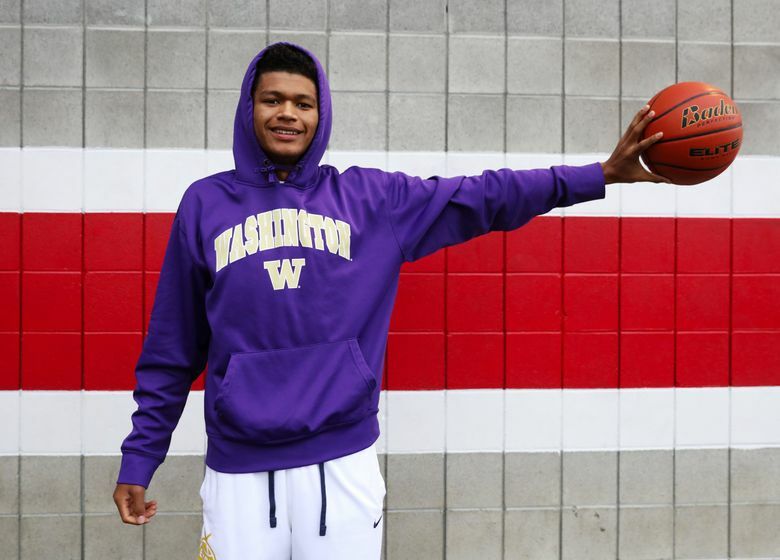 Battle said the UW staff believes he’ll fit in well with the Huskies’ up-tempo style. He’s been told to work on gaining strength and assistant coach Cameron Dollar has instilled a laser-focus on academics to prepare him for life on Montlake. Many of the Tulalip tribal members are already fierce UW fans. Battle is believed to be the first from the Tulalip Tribe to receive a Division-I basketball scholarship.